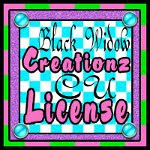 ♥ I Love Lucy DigiArt Designs ♥: Happy Holidays Freebie! Hey Everyone! Just wanted to say Happy Holidays! Thanks so much for being a fan, I appreciate you all so much! I am working on some fun new scrapkits and templates. I have a freebie for all the good boys and girls out there LOL... 4 Frame Templates, each in png form. They're sized at about 1100 x 1000 so you can easily use them for either full size or tagger size. Add papers/textures or effects to them to make them fit your project. Leave me a thanks if you download a copy, let me know how you like them! Click preview below to download. Thanks so much! I hope you had good holidays!